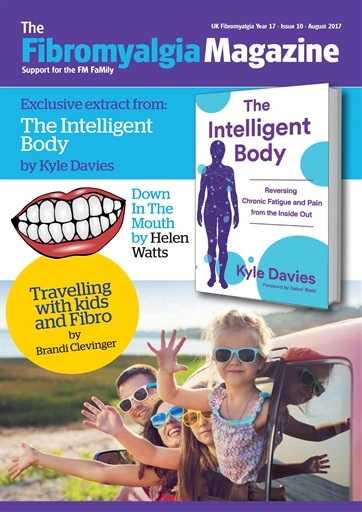 (3 Customer Reviews) | Write Review 12 issues per year Fibromyalgia Magazine is a monthly 28 page magazine that has been providing support for the worldwide fibromyalgia FaMily since October 2000. Fibromyalgia (FM) is a widespread musculoskeletal pain and fatigue disorder probably caused by a dysfunction of endogenous pain regulation leading to amplification of pain signals from all over the body. Studies demonstrate that FM in the general population has a prevalence ranging from 1.3 to 7.3 per cent. Every month for over 10 years we have been trying to answer all the questions that a fibromyalgia sufferer may ask; be it a newly diagnosed patient or a long term FM’er looking for help with pain relief, fatigue or any other associated problem. Fibromyalgia Magazine is a monthly 28 page magazine that has been providing support for the worldwide fibromyalgia FaMily since October 2000. UK Fibromyalgia are committed to ensuring that all people with fibromyalgia have access to fast and accurate diagnosis, that they receive effective evidence based treatments and that they are not discriminated against because of their condition. You'll receive 12 issues during a 1 year Fibromyalgia Magazine magazine subscription. Great articles and information, the reviews on medication is very helpful, asking my doctor to try me on something which they have not heard of yet, was very helpful. I loved the magazine, but subscribed for the digital download and had a lot of trouble getting onto it. My fibromyalgia makes me forget things so I found the printed copy better for me, but sadly you don't do that now, do you. You'll receive 12 issues during a 1 year Fibromyalgia Magazine magazine print subscription.